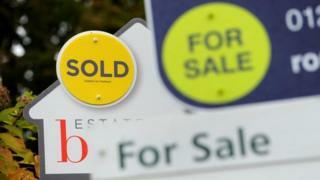 The UK's biggest mortgage lender said that property prices had fallen by 1.6% in March compared with the previous month. However, prices were 2.6% higher in the first three months of the year compared with the same period in 2018. "These conflicting challenges, when combined with the ongoing uncertainty around Brexit, have had an impact across the country but most notably in London, meaning that we continue to expect subdued price growth for the time being," said Russell Galley, managing director of the Halifax. Tomer Aboody, director of property lender MT Finance, said: "For the past couple of years March was flagged up as the date when we would get Brexit [but] people have been too busy watching the political shenanigans on television to go out and view houses. "The Brexit saga is such a debacle and until it gets sorted, one way or another, few people are going to do anything."